The author of this book is Shannon Sovndal. Sovndal is an MD attending medical school in Columbia University in New York and completing his redidency at Stanford University in California. He is owner and co-founder of Thrive Health and Fitness Medicine. He has also served as the team physician for the Gramin/Chipotle pro-tour team and is currently working as a board certified emergency medicine physician at Boulder Community Hospital in Colorado. He also has district medals for road racing in California and Nevada Championships. The book can be bought on line for around the 20 euro mark either in eBook form or the traditional paperback. The book is Forwarded by Christian Vande Velde (CVV). In his forward he explains how he and Sovndal have been friends for many years and also explains how Sovndal guided him through the weights room and prescribed exercises in order to eleviate pain and discomfort that Vande Velde had been experiencing on the bike over many years. Due to Sovndal’s assistance and guidence CVV is of the opinion that now he is a big advocate of gym work in order to balance the body both in the off season and during the racing season. 9. Whole Body Training for Cycling. Chapter 1 gives a brief but conscience description of the muscles used during cycling and of the function of cycling. Muscle makeup and muscle physiology is described in order to give the athlete an understanding of how the muscle works both under pressure and at rest. 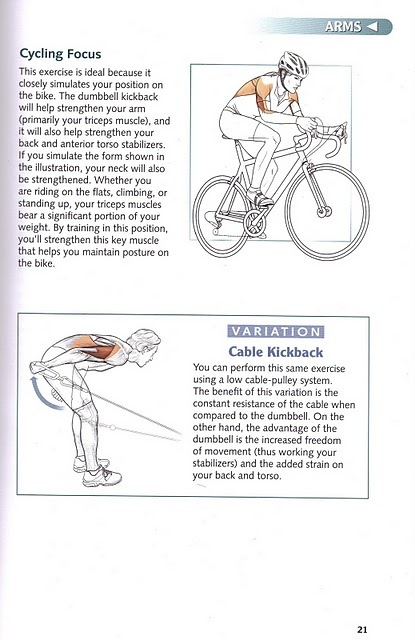 Cycling position is also discussed which direction given to correct posture and position on the bike. Important muscle groups are outline and their actions described with reference to the athletes position on the bike and also to their actions during the biomechanical movements. For chapters 2 -9 the book provides first a brief description of the muscles used in cycling and shows each muscle in a picture format and how it;s stressed during the cycling motion. So if your a sprinter and you want to strengthen your upper body because you may feel a weakness then go to chapter 2 Arms and have a read. 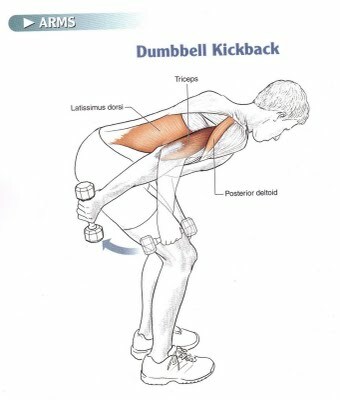 It will describe the muscles used and how to train them in a step by step description accompanied by pictures and diagrams. The same can be said for masters wanting to maintain strength. Chapter 9 Whole Body Training for Cycling can be used or just chapters 8 & 9 if the masters rider believes their legs are the only limiter. This book again is good for the athlete who self prescribes and is interested in adding a new dimension the his/her training regime. I would also recommend the book to those of you starting on your first winter of weights activity as this should and will prepare you well once you read it all. I have previously described weight training on the bike and these two programs could be combine in order to eliminated or seriously improve an athletes limiter. This entry was posted in Reviews, Training and tagged Cycling Anatomy, Cycling Anatomy by Shannon Sovandal, Cycling Endurance exercise engineering Fatigue Profiling Heart Rate Monthly Testing Protocol Orthostatic Heart Rates Power sports and exercise engineering sports engineering Sports Exercise Engineerin, exercise prescription, sports and exercise engineering, weight training, weight training for the cyclist, winter program. Bookmark the permalink.